Caring for Your New Glove…….. Properly caring for your baseball glove can make a huge difference in the lifespan of your glove. 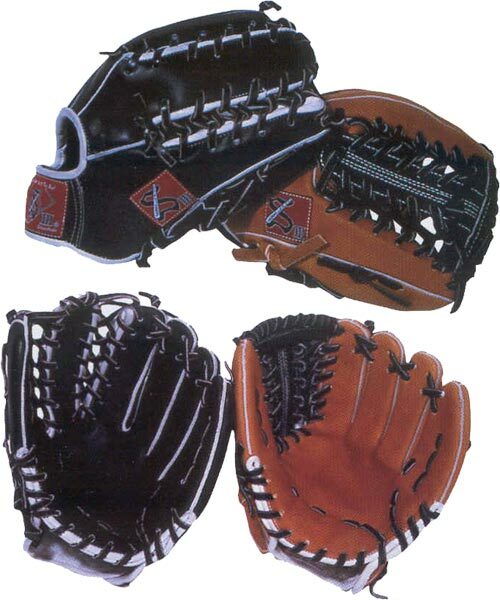 We recommend checking with the manufacturer of your glove to see what they recommend. • Keep your baseball glove in a cool, dry place when it is not in use. Do not leave your glove where the heat could affect the leather (the trunk of your car). • After practice and games, wipe the sweat out of the inside of your glove with a soft cloth. • If your glove gets wet, dry it with a towel and let it air-dry. Do not put it in the oven or near a heater as it may dry out the leather. • Do not over oil your baseball glove! A few time each season is plenty. • Keep the laces tight. From Nokona: "We do not recommend neetsfoot oil, linseed oil or silicon-type spray as these tend to close the pores of the leather, causing it to dry, harden, and become heavy over an extended period of time and through repeated use. Petroleum jelly keeps the pores open and in effect, keeps the leather “alive” while providing a softening condition. There are other cleaners and conditioners that are safe, especially those scientifically developed for glove leather."